Today’s blog written by April Cooper. First, let me say, we are a very small nonprofit. Sadly, we do not have the resources to “rebuild” Haiti. So, our approach is on a much smaller but necessary scale. Our goal is to provide the most basic necessities to people in need, before Hurricane Matthew and after. 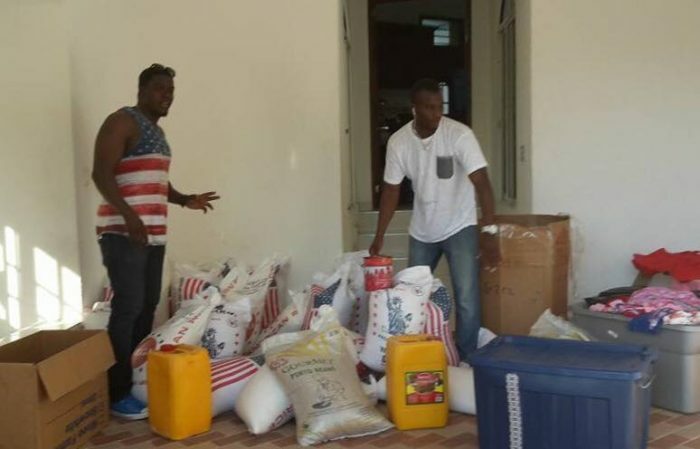 Our co-founder Paul enlisted the help of various organizations he’s involved with to reach a broader audience and hopefully get more people involved with relief efforts. We’ve been overwhelmed by your generous response to this call to action. He has been asked to help communities that were affected by Matthew. Luckily, his own community was mostly spared. Once upon a time there was an old man that used to go to the ocean to do his writing. We’re going to continue throwing our starfish back to safety because it DOES make a difference. One particular family in need of help is pictured below. Paul received this photo this morning from his connection in La Gonave. 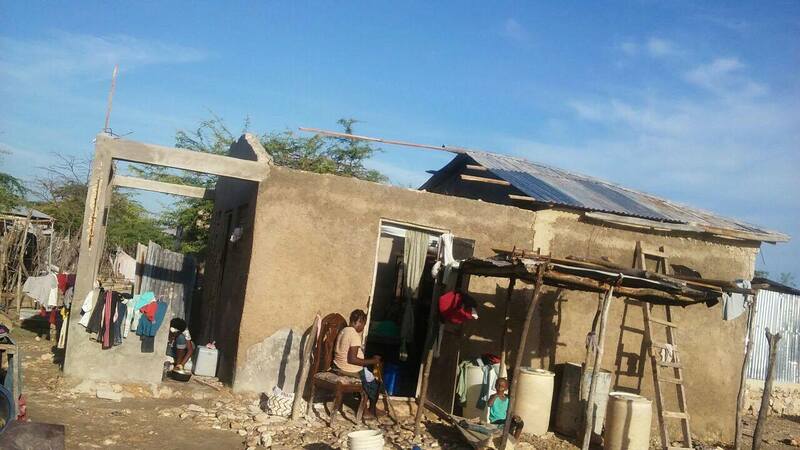 Sadly, many houses in Haiti look like the house in this photo. The family needs help repairing their roof & they asked for blue tarp material but that definitely won’t last for long. Paul would like to provide the corrugated metal, which is a very common material for roofing. As we receive information about additional needs we’ll share them here so please feel free to check back from time to time. The road ahead will be a long one & help will be needed long after the media coverage goes away. If you would like to help families in need, please donate through www.magicbeansco.com. Your donation is tax-deductible and 100% will be used for ongoing relief efforts.